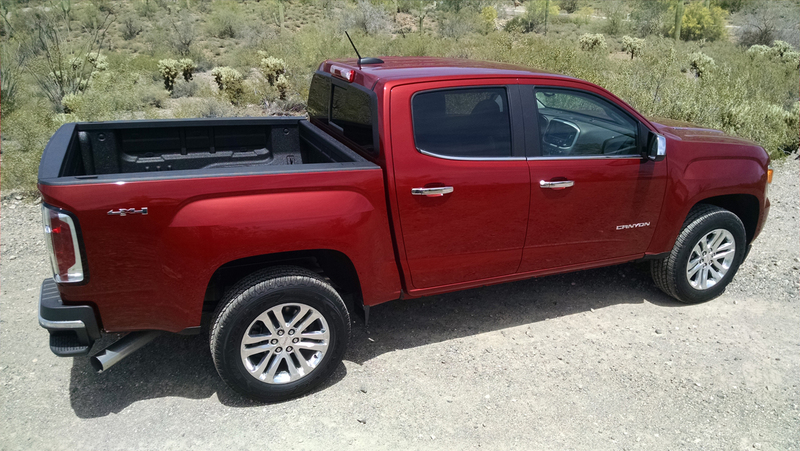 We’ve had some quick drives of the DuraMax diesel powered Chevrolet Colorado and GMC Canyon before, but we finally got a full week-long test with one to see what it’s really like to live with. And better yet, find out what kind of fuel economy the new diesel engine offers in real world driving. 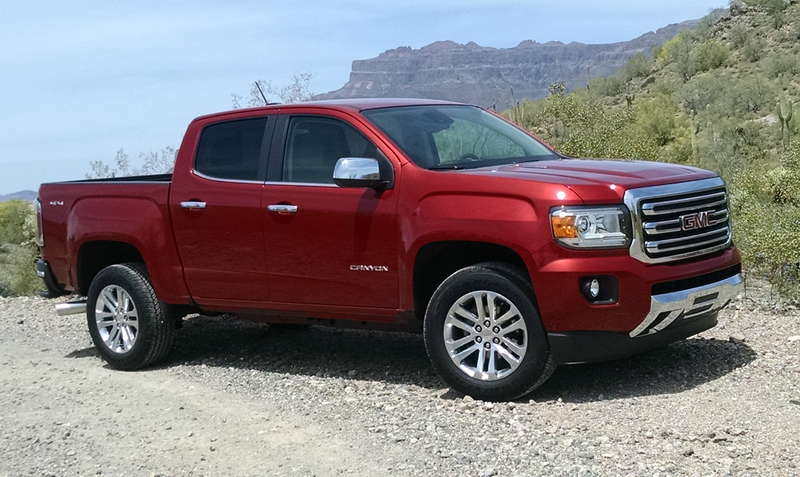 First-off, the mid-size GMC Canyon is of course the corporate sibling to the Chevrolet Colorado. You can hardly mention one without the other. 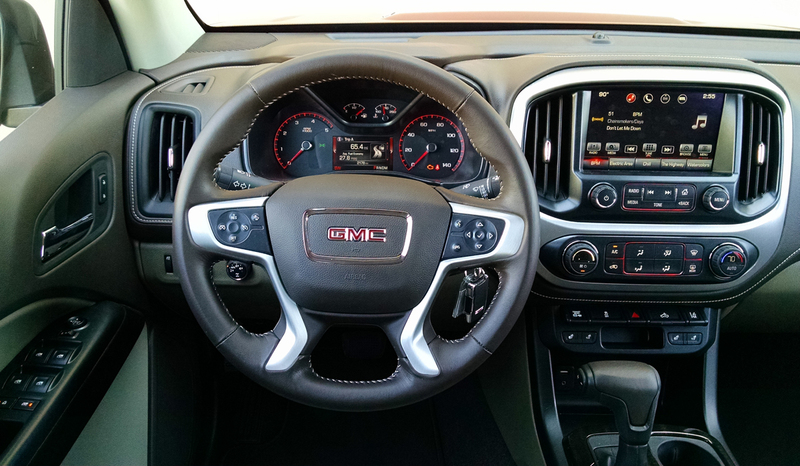 Nicely though, the GMC actually has styling that is completely different front and rear, and a healthy interior step up too. 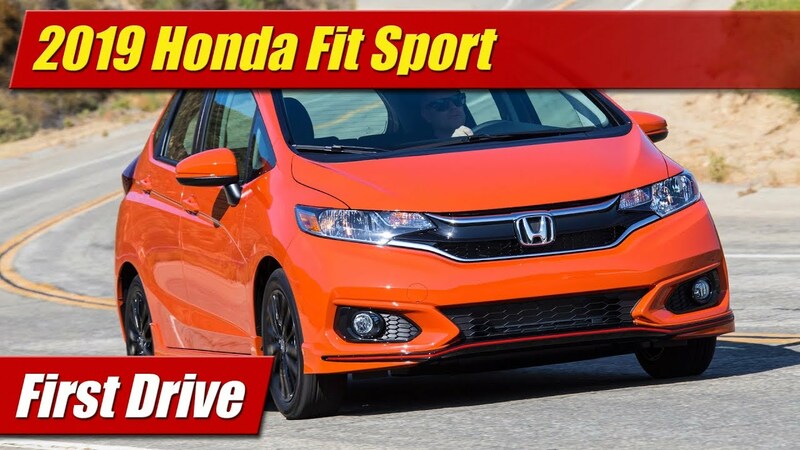 It has a much more upscale face with heaping helpings of chrome trim both on the grille and its lower skid plate styling element. There’s HID headlamps with lots of LED jewelry, fog lights, and a unique hood and fenders. 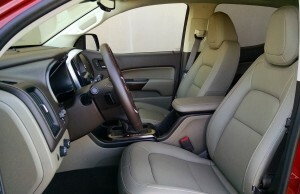 The color on this one is an optional shade, Copper Red Metallic that’s paired with the Cocoa and Dune leather interior. In the SLT are a lot of creature comforts like power seats for both the driver and passenger, and they’re heated as well. 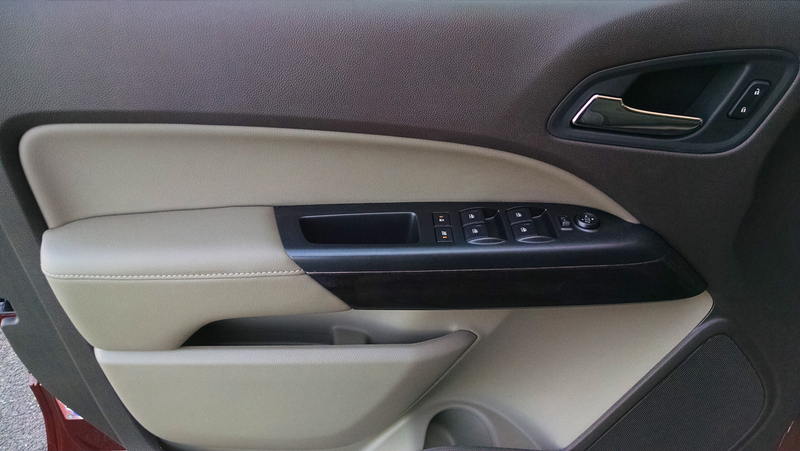 Upgraded trims include accent stitching on soft pieces and wood-grain accents on the door panels, the console as well as on the dash panel itself. 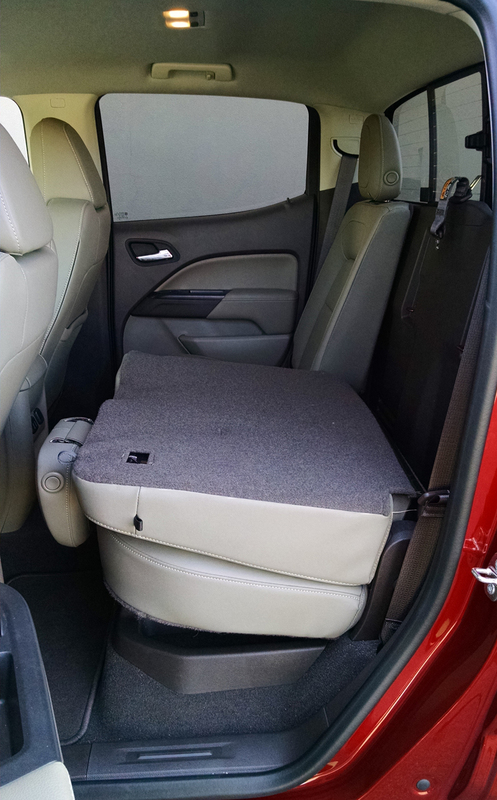 The center stack is well laid out with the expected cubbies and cup holders, but still slim on storage. 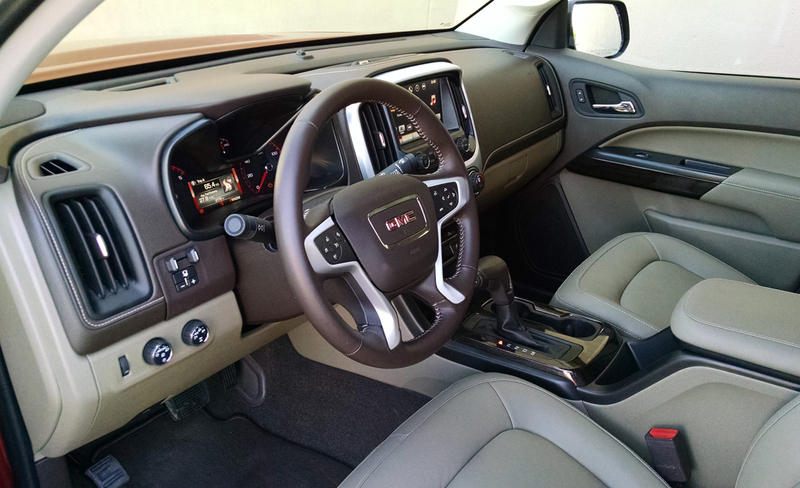 The GMC gets a unique leather wrapped steering wheel, different from the Chevrolet Colorado, complete with controls for audio and the instrument cluster. There it has a larger digital center screen for trip information and vehicle settings. 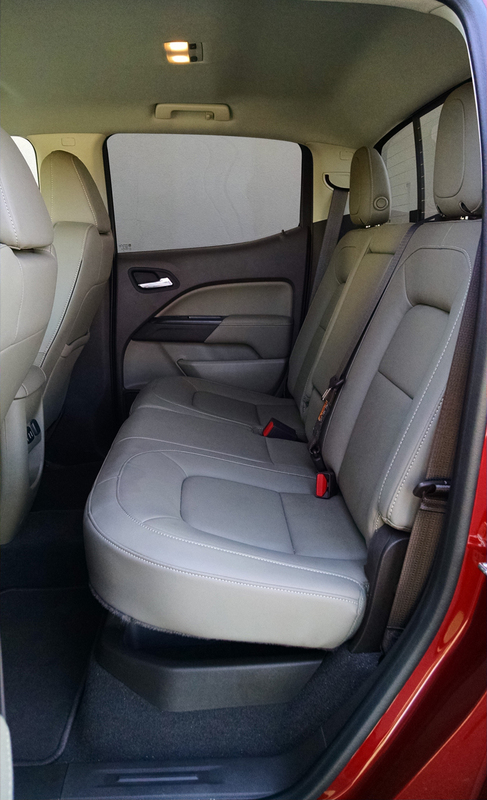 While the front seats are plenty comfortable and offer a good range of adjustment, the rear seat is a bit more cramped for adults. 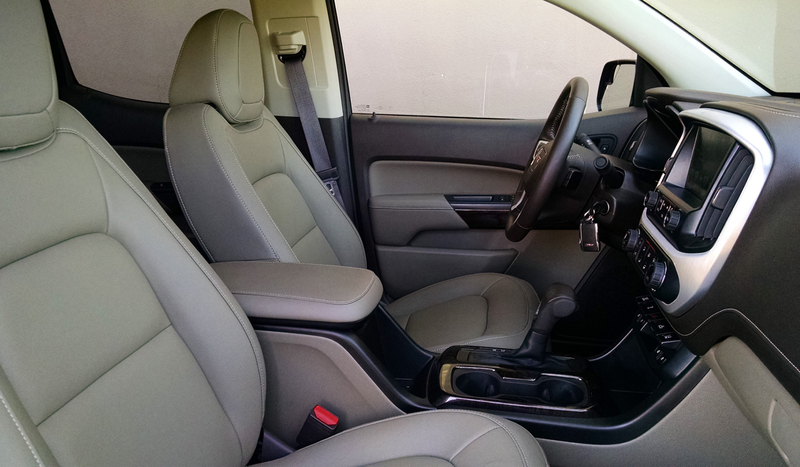 The lower cushion is set low, leaving your knees perched high but it does afford good legroom and head room. 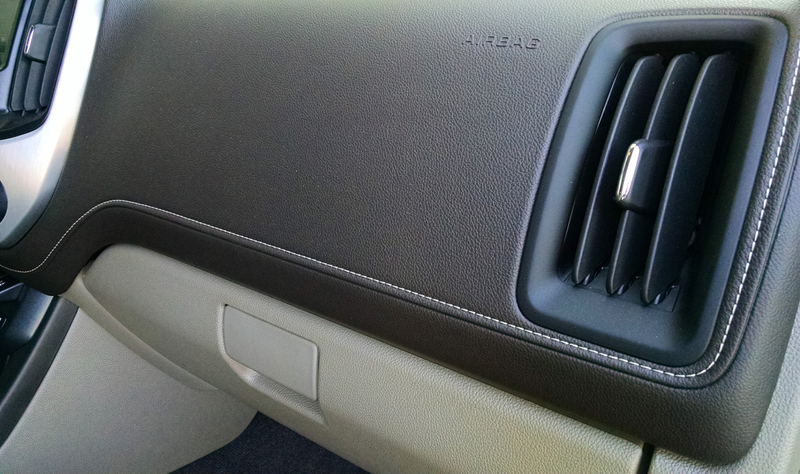 There aren’t HVAC vents for rear passengers which we somewhat expect here in Arizona for our hot summers. There is however two USB ports and a 12-volt power port to keep plenty of devices running for long road trips. 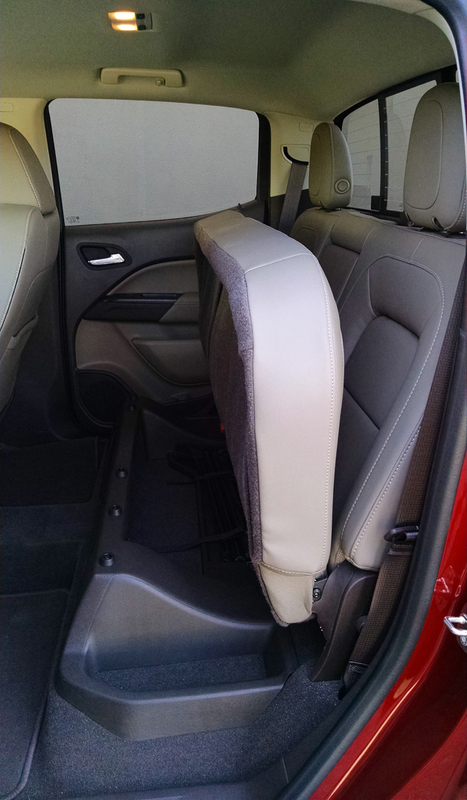 The rear seat folds in two different ways. 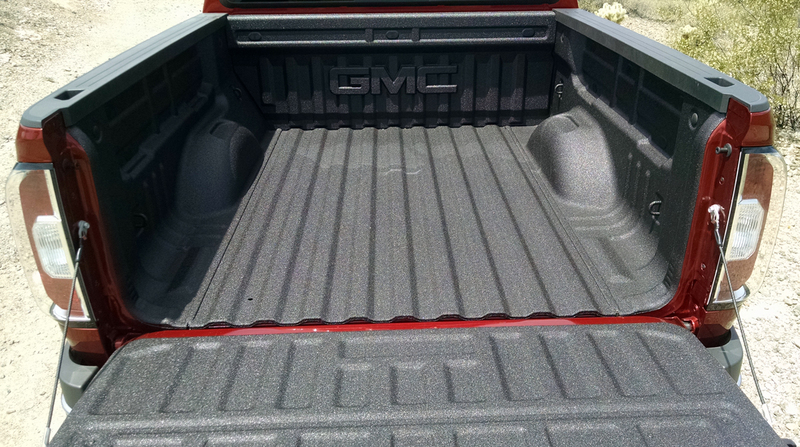 You can pull the lower cushions upward for tall items, but there isn’t exactly a flat load floor, though you can see a nice under seat storage area. The other folding configuration is down flat, but it is a bit higher up. Either way I think this is a better routine than offered in the Toyota Tacoma. 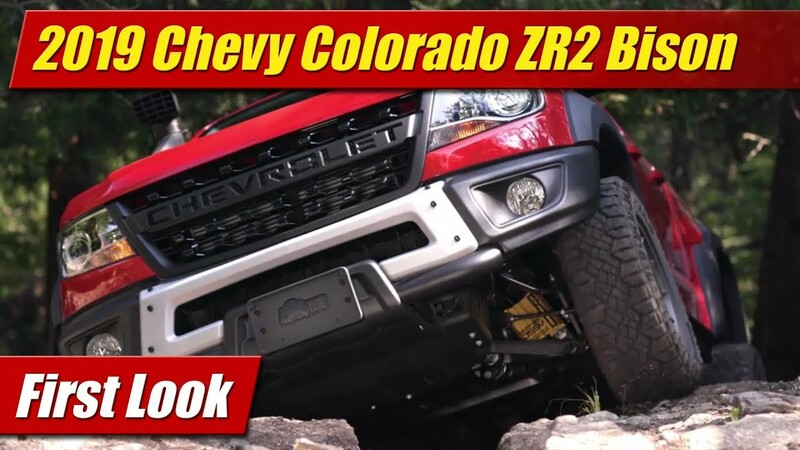 Overall, the interior is made up of some good high quality materials and trims which are an appreciated upgrade from the Chevrolet Colorado since you are spending the extra money into the GMC brand. 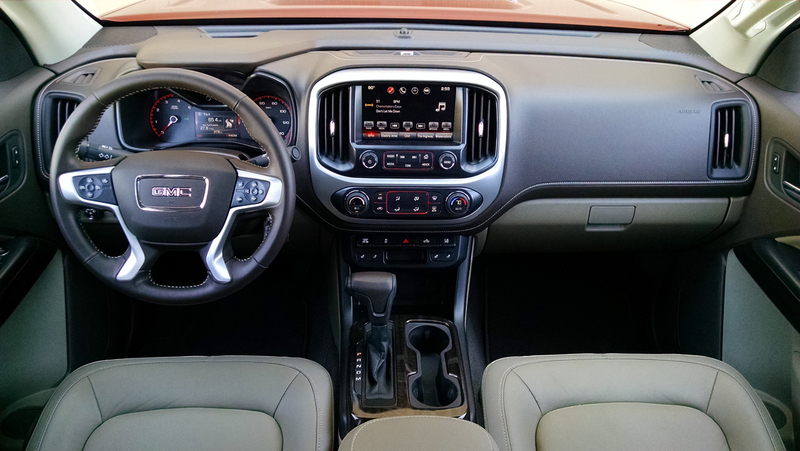 Technologies in the Canyon included the optioned top of the line 8-inch color touchscreen audio and navigation system with Intellilink suite of applications. A Bose premium audio system kicks out some decent sound and it’s very easy to use. 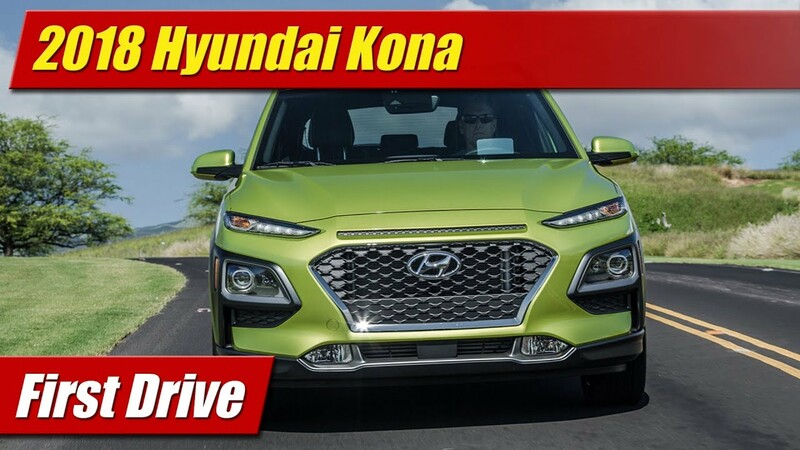 The menus and graphics are well laid out, and better yet it offers Apple CarPlay along with its Bluetooth, USB and Auxiliary connectivity. Unfortunately Android Auto is not yet a part of the picture. 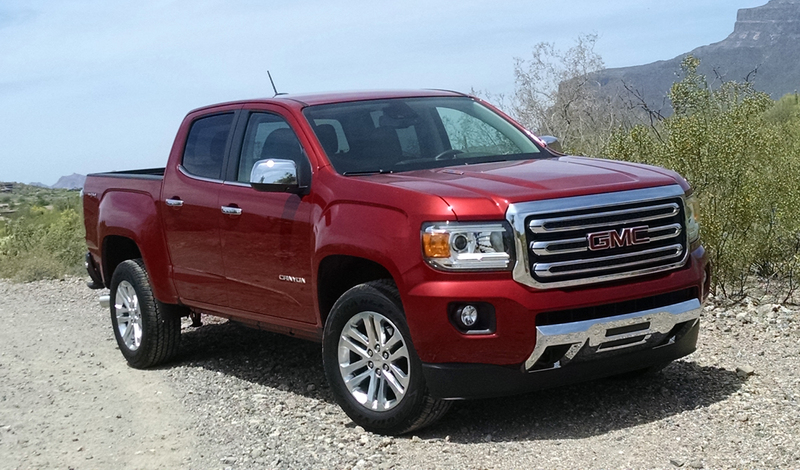 What we were honestly most excited about in testing this truck is what’s under its hood. The 2.8 liter four-cylinder turbo-diesel engine is one that’s well proven around the globe before it ever arrived here, so that’s good right out of the gate. It has 181 horsepower which doesn’t sound like a lot, but its the torque at 369 pound-feet that makes it totally truck worthy. 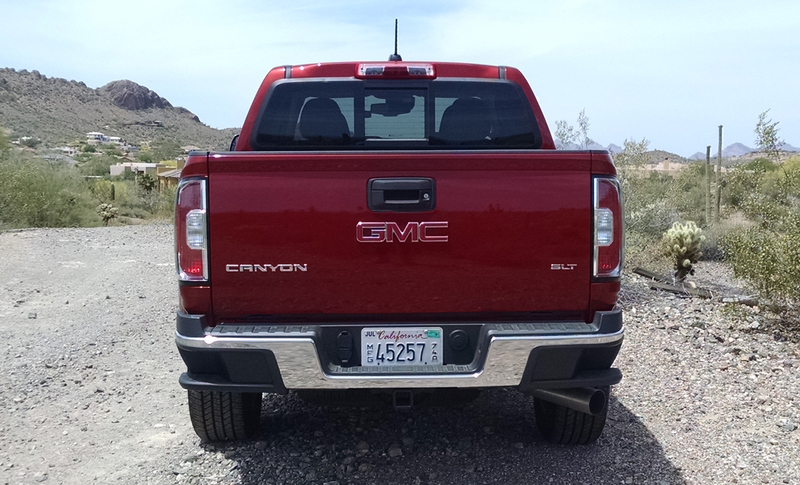 Mated only to a six-speed automatic transmission, in this truck it’s rated at 20mpg city, 29 mpg highway, and 23 mpg combined. 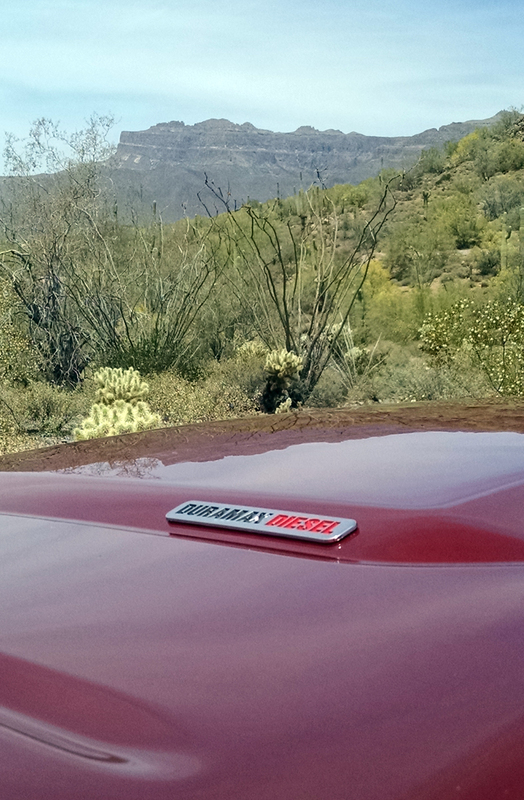 Starting it up brings a healthy diesel purr and resonance through the cabin, but it isn’t obtrusive. It’s an engine you feel through the steering wheel and seat, though vibrations have been well damped in driving and acceleration. Under full rolling of coal it doesn’t offer neck snapping acceleration, but that isn’t the point here. Its torque is plenty there to move you around in stop and go driving, and something you will feel well in towing. To that, the six-speed automatic transmission feels stout, with tight shifts. There’s a smart exhaust-brake as well for handling the push of a trailer, which can be up to 7,600 pounds here. And given all this capability, it was impressive we achieved 26 mpg in our week with it combined city and highway. The chassis offers up a nice balance of refinement and a solid ride you would expect from a pickup. Around our tar strip lined roads, it was quiet in ride with few jitters. 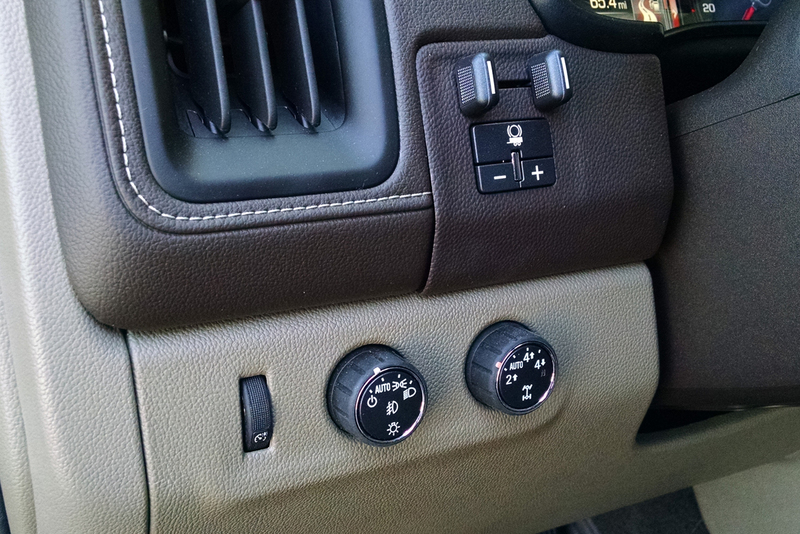 Steering feel is light and slow off center which is good in a truck. Out in the desert on our wash-board back roads is where it was most at home, not a shudder or jitter in the chassis or steering to make you feel like the truck was less than well built. 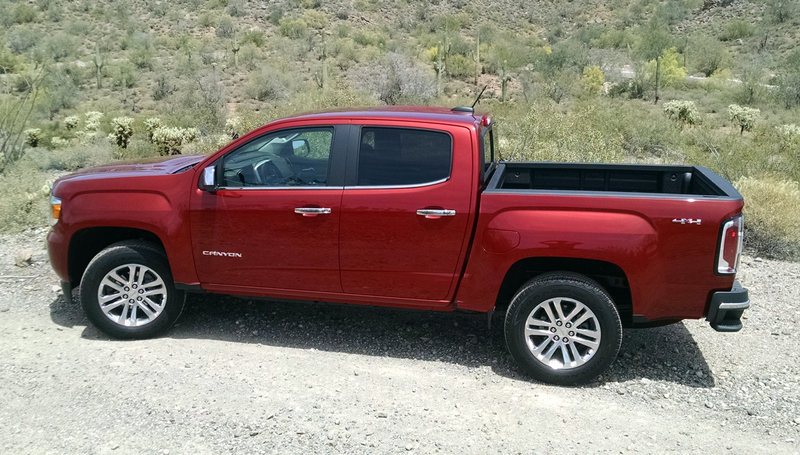 We didn’t do much off-roading as this truck is really aimed more at on-road use. 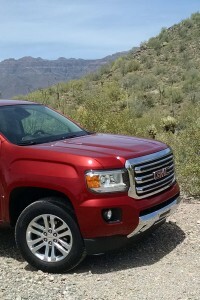 GMC offers their off-road themed All Terrain Model for that, though at the time of our test it could not be confirmed they offer it with the DuraMax diesel engine or not. 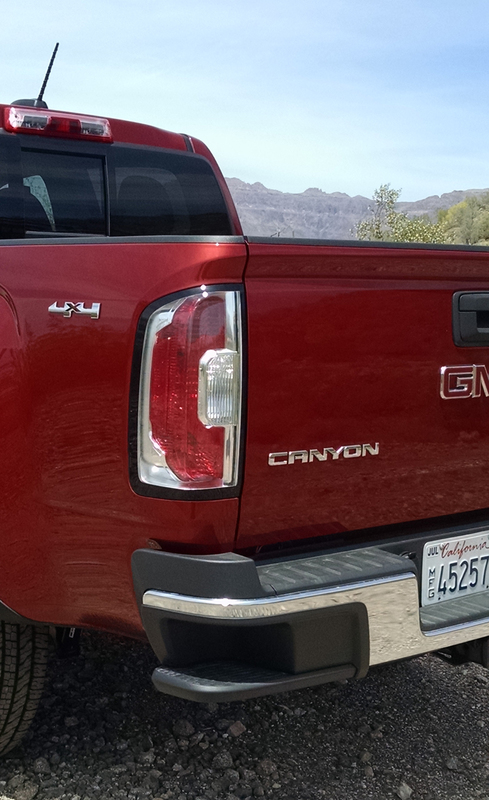 The last remaining front which impressed was the Canyon’s build quality. Fit and finish inside and out were near faultless which says a lot because we tend to be a little tougher on American brands right or wrong. Call it a habit from the dark days of the 80’s and 90’s when they were not so good. 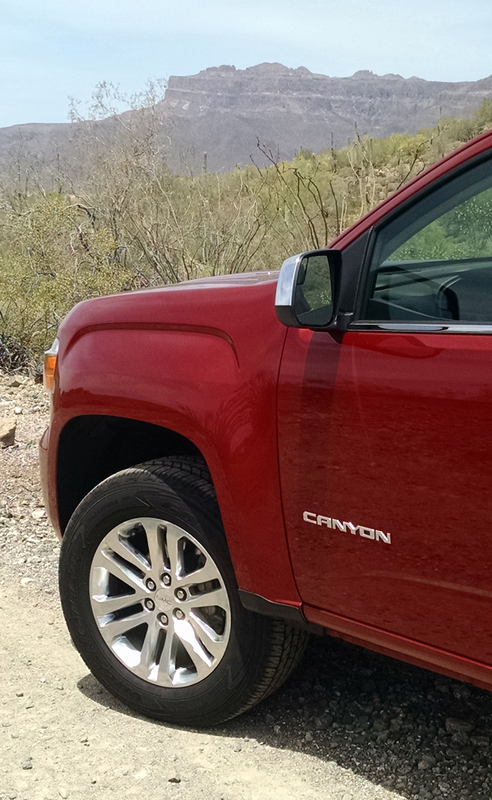 When it comes to safety, the IIHS hasn’t yet put the GM Canyon or Chevrolet Colorado through their full range of tests. The only one we have a measure on is the moderate offset crash in which it performed with a good rating. 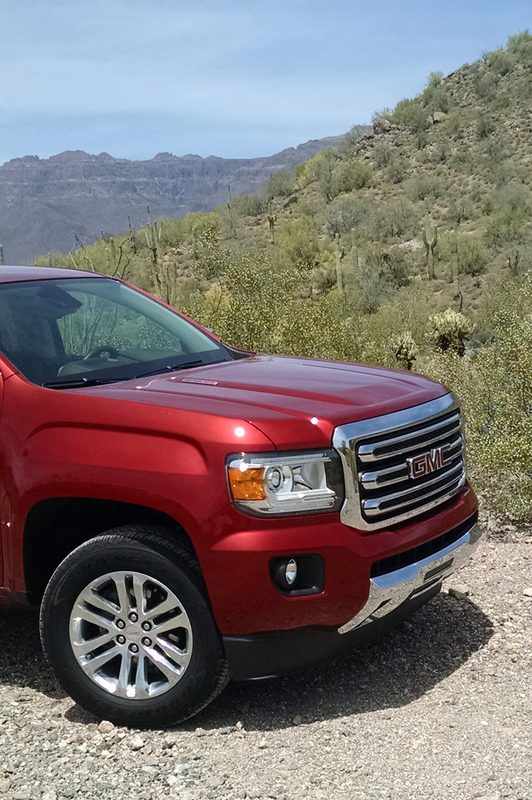 Our tester came in at a grand total of $44,365 which is pretty spendy for a mid-size pickup. 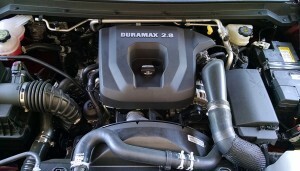 But one has to keep in mind the diesel engine option ranges from $3,700 – $4,000 depending on the trim grade you choose. 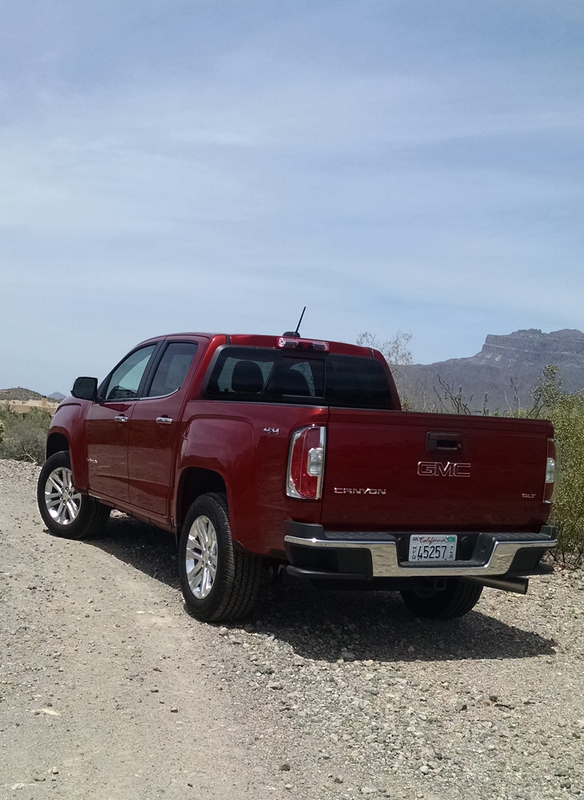 Taken out of the price, that pits it directly against the likes of the 2016 Toyota Tacoma Limited, and when put in that light the GMC Canyon offers up a lot more features for the money and an interior a bit more posh in our opinion. 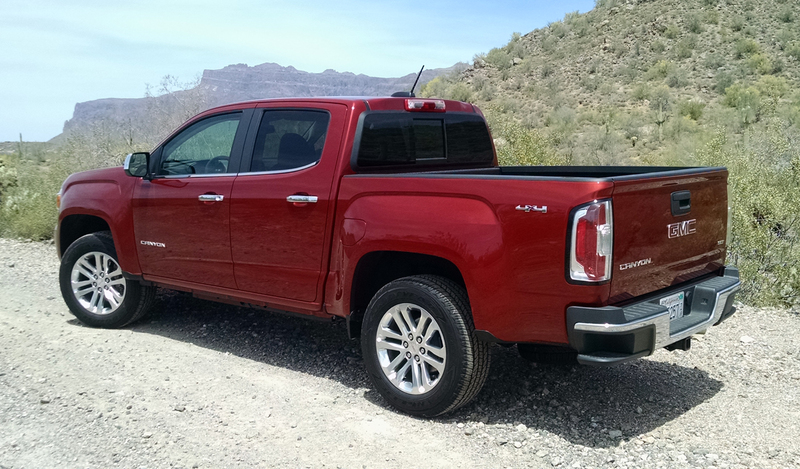 In any case we felt it was a good value and we add the 2016 GMC Canyon and the Chevrolet Colorado to our “Id Buy It” list for the second year running.